Microchip Technology, via its owned subsidiary Microsemi Corporation and in partnership with Acacia Communications, has demonstrated interoperability between Microchip’s DIGI-G5 Optical Transport Network (OTN) processor and Acacia’s AC1200 Coherent Module. The collaboration’s objective is to enable what the companies say is ‘the industry’s first’ flexible rate system architectures with an established ecosystem to support the market’s transition to 200G, 400G, 600G and flexible rate OTN networks built with new Flexible Ethernet (FlexE) and OTUCn protocols. 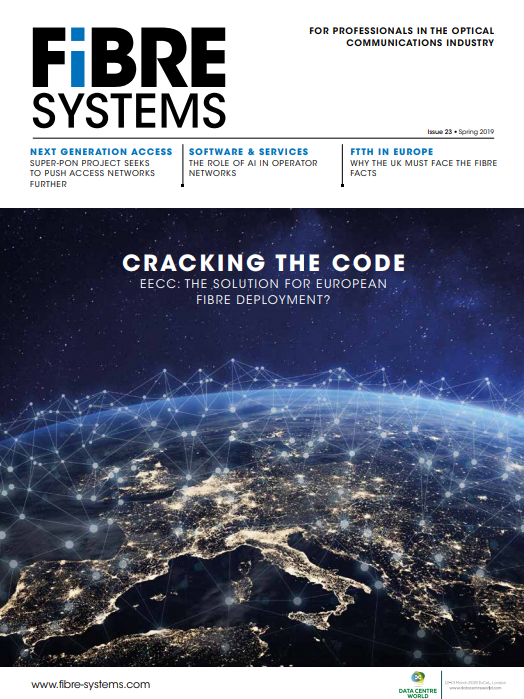 By helping enable the market’s transition, from 100G to flexible transmission system architectures, service providers could deploy higher bandwidth Ethernet connectivity at a faster rate and lower cost with Optical Internetworking Forum’s (OIF) FlexE protocol. The protocol was designed to provide up to 30 per cent greater bandwidth efficiency compared to traditional Ethernet link aggregation (LAG). Combining it with OTUCn and tunable fractional dense wavelength division multiplexing (DWDM) transmission offers the potential for service providers to improve their OTN network capacity by up to 70 per cent. Microchip’s DIGI-G5 delivers the silicon and software to launch new terabit scale line cards with flexible rate optical interfaces for packet optical transport platforms. Combining this with the AC1200, next generation architectures will help to support the market’s growing demand for metro and data centre interconnect networks requiring 100G+ connectivity. Acacia Communications also recently completed another successful trial – this time with ADVA –to transport 300Gb/s of data per wavelength over a 6,800km fibre link (see ADVA, Acacia Communications successfully trial 300Gb/s over 6,800km fibre link).